Xara 3D Maker (formerly Xara 3D) from MAGIX is solely designed to create the highest quality 3D text and graphics, such as headings, logos, titles and buttons. It’s the perfect way to add impact to your web pages, mailshots, movies and presentations (all images are fully anti-aliased for that smooth, professional quality). Xara 3D Maker can also create awesome 3D animations in seconds – GIFs, AVIs and simple Flash movie sequences. And you can even enhance your desktop by saving any animation as a screensaver! 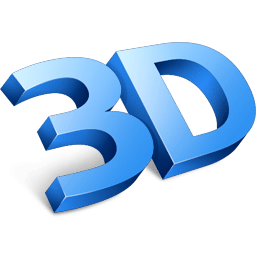 Xara 3D Maker lets you create an endless variety of 3D graphics from TrueType fonts or imported 2D shapes, with simple controls to alter the extrude depth, lighting, bevel, color and texture, shadow, font size and type. And there’s a whole range of animation possibilities including multi-page sequences and even animated 3D screensavers. Imports WMF/EMF, CorelXARA and Webster files, exports GIF, Flash, JPEG, PNG, AVI or BMP. 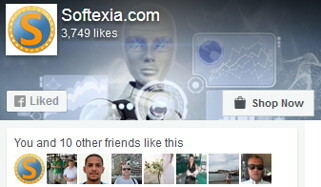 Xara 3D Maker is used both by professional web graphic designers and home computer users to make animated GIFs, buttons, banner graphics and titles for presentations and web pages. A total of 37 textures are included in the download. And there are 400+ on the CD-ROM you receive when you purchase. You can also import your own GIF or PNG files. Animate images in many different ways (see examples), such as Rotate, Fade, Pulsate, Step, Fade and Swing, using a simple interface. Supported Operating Systems: Windows Vista, 7, 8, 8.1, 10.